After a crash that killed 157 people on an Ethiopian Airlines flight last week, countries all over the world grounded Boeing’s 737 Max planes, leaving an impact on travel. Even though the United States was among the last of the major countries to do so, the FAA should still be commended for ensuring the planes be removed from travel and further investigated. Air travel typically causes the most concern regarding safety. For some, it’s all they think about. The fear of flying is powerful and forces some passengers to self-medicate before taking to the skies. Others have been doing it so much, the idea of anything bad happening in the air can become an oversight. Constantly flying puts one in a routine of getting from Point A to Point B. How many of you frequent flyers bypass the safety instructions from flight attendants once you’ve boarded the plane? After last week’s horrific tragedy, safety should be high on the minds of everyone around airplanes. Because the truth is, airline deaths increased in 2018. The year of 2017 was the safest year for aviation however, but the drastic rise in 2018 now followed by a rough start to 2019 is not good. Be thankful for the swift action to ground the Boeing 737 Max planes so that further devastation could be prevented. So the next time your flight is delayed while mechanics or crew has to inspect the aircraft, don’t complain. Oh, and always thank your pilot and flight attendants. 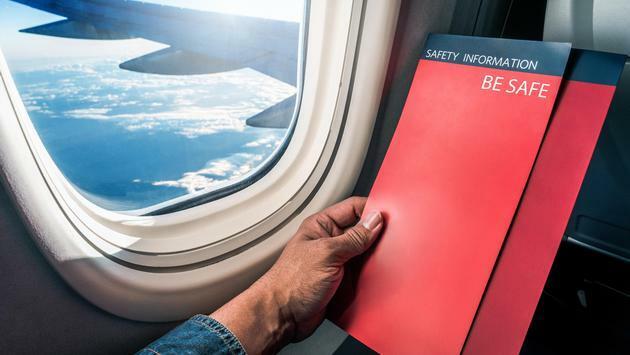 Safety should always be the top priority when traveling. Whether you’re flying, cruising or driving, doing whatever you can to ensure the well-being of you and your fellow travelers should be the first thing on your travel checklist. New York was named the Best City in World for 2019, and Atlanta Hartsfield Jackson International Airport was once again named the busiest airport in the world. Airbnb lost a major battle in California that could have national ramifications. Southwest added new nonstop flights and kicked off their Hawaii flights as well. Palladium Hotel Group is exploring the possibility of opening the first all-inclusive hotel in Miami. These are the most affordable cities to visit in Europe. Save $800 per couple on select escorted tours with Gray Line Alaska. Earn a $500 air voucher when booking AMResorts through United Vacations. Book your clients' European vacation with $500 off flights from Trafalgar. Save up to 50% at Holiday Inn Resort, Grand Cayman from Cayman Islands Department of Tourism. Have a date night in paradise with the sixth night free from Couples Resorts. And as always, for all your travel offer needs be sure to bookmark www.travelpulse.com/deals.